7 Best Portable Scanners 2019 - Which one to Buy? A scanner is a device that captures images from photographic prints, posters, magazine pages and similar sources for computer editing and display. Even home users will occasionally find the need to use a scanner. Thus, using a portable scanner will be much more useful and comfortable. 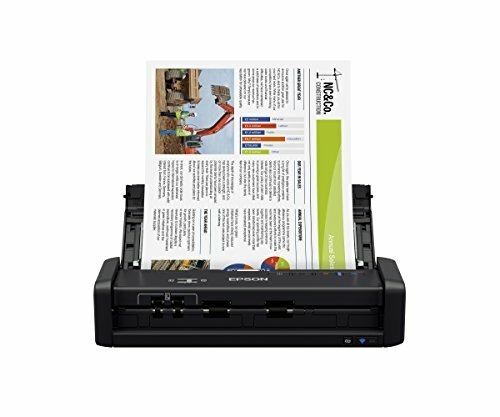 So, if you’re searching for a Portable Scanner then we can help you with some of the Best Portable Scanners 2019 available on the market. 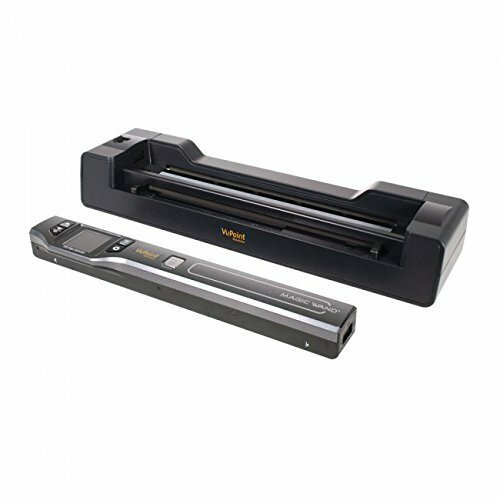 In at first place, we have the Vupoint Solutions Magic Wand II it comes with a scan area of 8.27 x 98 inches and can store any letter or legal-size document or image, even at the highest resolution. It runs on two double-a batteries so there’s no need for a charger and it can perform at least 180 color scans or 200 monochrome scans. It has an LCD that displays the device’s status and other relevant info. The high-speed sensor feeds and scans paper automatically using its auto feed feature while the scanner charges providing more quality control and ease of use. Plus, an increased resolution of 1200 dpi. Also, the optical character recognition OCR editing software allows you to convert scanned documents into text editable and searchable files. The Fujitsu ScanSnap S1300i scans at a fast 12 ppm in both single-sided and duplex scanning modes. It scans both sides of each page at up to 12 pages per minute directly to PDF, searchable PDF, jpg or to office applications like Word or Excel. It automatically recognizes the size of each document detects and corrects for skew and shows images in their proper orientation. It offers a quick menu that allows you to transition between different scanning options quickly. You can manage your scanned documents with the help of scan snap organizer. Also, it helps to view and edit scans, create filing cabinets, perform searches and more. The doxy queue is an automatic document scanner reinvented for true mobility to let you scan anywhere. 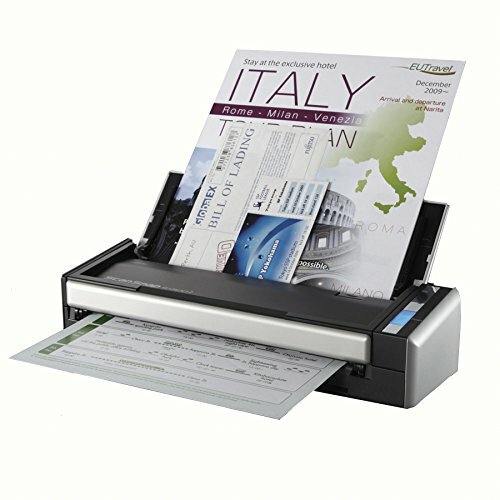 It comes with an automatic paper feeder, which scans stacks of up to 8 full-color pages at once add up to 600 dpi. It features a simplex automatic document feeder ADF that turns your documents into multi-page searchable PDFs. Also, it is powered by a rechargeable lithium-ion battery, which is rated to produce about 1000 scans on a single charge. The ADF scans up to 8 full-color sheets of paper at a time at either 300 or 600 dpi. It has a couple of other features to help you work when on the go such as sending to apps and a smart stapler tool for stacking multi-page documents together. 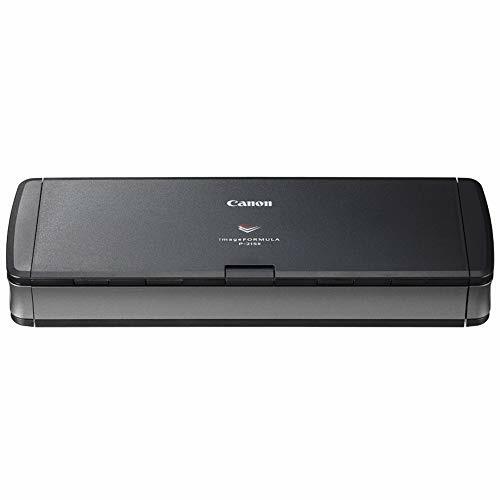 The Canon P-215II features an optical resolution of 600 dpi and utilizes a 20-sheet automatic document feeder for paper handling. It can work with cards with the help of a built-in card slot as well as documents from 2.0 x 2.8 inches to 8.5 x 39.4 inches in size. It’s also capable of duplex scanning to improve productivity with a color scan speed of 20 ppm. It works quickly by directly plugging into the USB port on a computer from which you can also draw power. Besides it offers USB 3.0 and USB 2.0 support for speed and compatibility. It has CaptureOnTouch software that provides users with additional control over scan settings and quality. As well as the ability to scan to cloud services like Microsoft SharePoint, Evernote and Google Drive. The Epson Workforce ES-300W features Epson image processing technology, which will automatically adjust images as they are saved. The ADF will support many different document types and sizes from 2 x 2.75 inches to 8.5 x 44 inches. 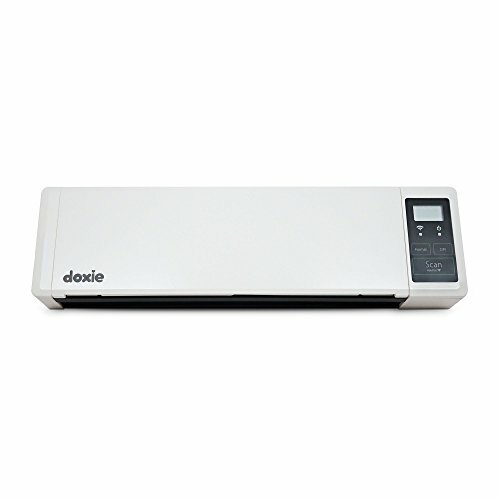 It is rated with a daily duty cycle of 500 sheets for longevity and features a standard USB 3.0 connection as well. Also, it offers a 20-page Auto document feeder and performs efficient batch scanning up to 25 ppm / 50 ppm. You can wirelessly scan two-sided documents, business cards and receipts to laptops tablets and smartphones. Besides you can quickly scan to cloud storage accounts or searchable PDFs and editable Word and Excel files using the included Epson scan smart software. The Brother DS-620 mobile scanner is perfect for the mobile professional who needs a powerful scanner that will slide right into a briefcase or business bag. It’s ideal for capturing business documents as well as receipts, business cards, laminated identification cards, invoices, photographs and more. It delivers lightning quick scan speeds up to 8 ppm in both color and black-and-white. Also, it features industry-standard drivers Twain and Sane to help enable easy integration with Windows, Mac and Linux operating systems. It includes a package of scanning software to help you manage and distribute information. As well as reduce the need to store and reference hard copy documents. 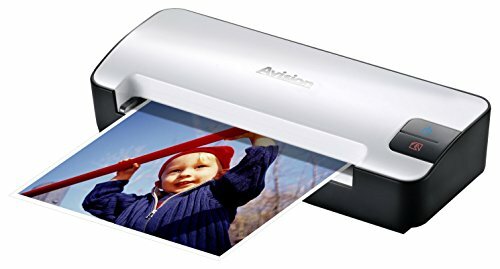 Avision IS15+ features an advanced desk you and auto crop functions and the scanned images are processed by the hardware automatically and saved as jpg. Giving you ideal results every time. It has a resolution of 300 dpi with an automatic document feeder mechanism and can handle photos, business cards, receipts or small memos and notes up to 5 x 7-inch size. Also, it gives you the convenience and freedom to choose which media to store your scanned images in either to a USB flash drive or a memory card. Besides these scanners are portable and compact enough to be carried around in backpacks that makes it an ideal piece of equipment for the person that is always on the go.